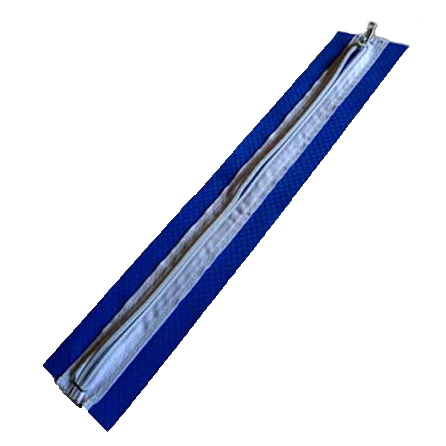 Zip-up: White zipper with blue backing, UV stabilized Zipper Access for shrink wrap. 6 feet long. Zip-ups allow minimal access into the shrink wrap cover during storage. Adhesive backed - simply tape the zipper to the shrink wrap after heat shrinking the shrink wrap. The zipper access works well where you need to access an id plate or serial number after you have shrink wrapped the item. The shrink wrap zippers can also be used to allow access to lift rings.